Hello, everyone! I present you the state of Lingua for July 2017. In total this month, we published 837 posts, attracted 218727 visits and 274492 pageviews. Our collective Lingua Facebook pages’ fans reached 266,158 and 267,076 followers on Twitter. Ricardo Ilton joined as our New Portuguese Lingua Editor. We shared our experience translating #RightsCon Tweets. 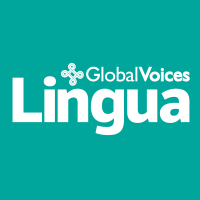 Gabriela Garcia Calderon interviewed our French Lingua Editor, Gwenaëlle Lefeuvre. Italian, Portuguese and Spanish Lingua sites are having their peak translation production of the year, this month! Awesome job! Don't forget to follow Lingua on Twitter, Facebook, and Google+! Please share the application form to join Lingua with your friends and networks. We translate into more than 40 languages!